Bandanna or some type of face covering. Keeps your face warm in the morning and keeps the dust out on the dustier sections of the trail. Layers - Morning temperatures can be in the low 40's even in July/August. Sunny afternoons can be around 80 but feels warmer at higher elevations. We have rode in sleet and snow during July and then an hour later been wearing a t-shirt. Be prepared for all types of weather. Raincoat - Cheap rain gear from a local sporting goods store will be handy if afternoon showers arrive. Helmet - Not required by law, but highly recommended. Required on all ATV rentals. Food & Water - Be sure to take plenty of water and some food. You can become dehydrated quickly at high elevations. From Tincup, go south on 765 for .9 miles and turn right on FR 764. Follow 764 for 2.6 miles to a cattle gate. Be sure to watch the odometer on 764, as there are several cattle gates in the area. Leave the gate open/closed depending on how you found it. You will follow the narrow, winding trail another 3.4 miles through the forest and will connect to 752. Follow FR 752 across Union Park for 3.1 miles. There may be several water crossings, depending on the time of year and snow melt. After crossing Union Park, arrive at Gunnison Co Rd 55 and see Taylor Park Reservoir to your left. Turn right for about 1.2 miles to connect with 765. From there, you can go left to Taylor Park Trading Post (1.8miles) or turn right to return to Tincup (5.7miles). If you are headed to the Trading Post, do not take the shortcut and turn left on Co Rd 55 towards Taylor Park Reservoir. You will get a ticket for riding ATV's on Gunnison Co Rd 742 that connects to the Trading Post. Take the 3 mile route to the right. Begin at the Mt Antero trailhead off Chaffee County Rd 162. 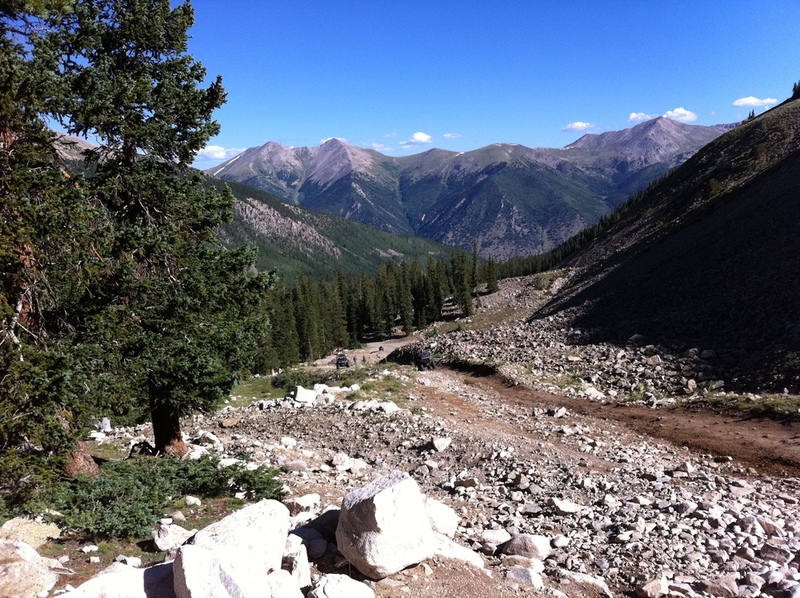 Drive 1.2 miles down the Mt Antero trail, then take Forest Service Road 279 on the right. This trail will be a tight fit for anything larger than a Jeep Wrangler. Boulder Mountain Trail is a good warm up for Mt Antero. We rode it on a Saturday during the 2nd week of July and were the only ones on the 5 miles of trail. The 15 switchbacks begin in the forest and end above tree-line. Along the way, you will have amazing views of Mt. Antero and Mt. Princeton. Near the end of the trail is the closed entrance to a mine and an old shack. Alpine Lake off of Chaffee Co 162 will be visible to the north. 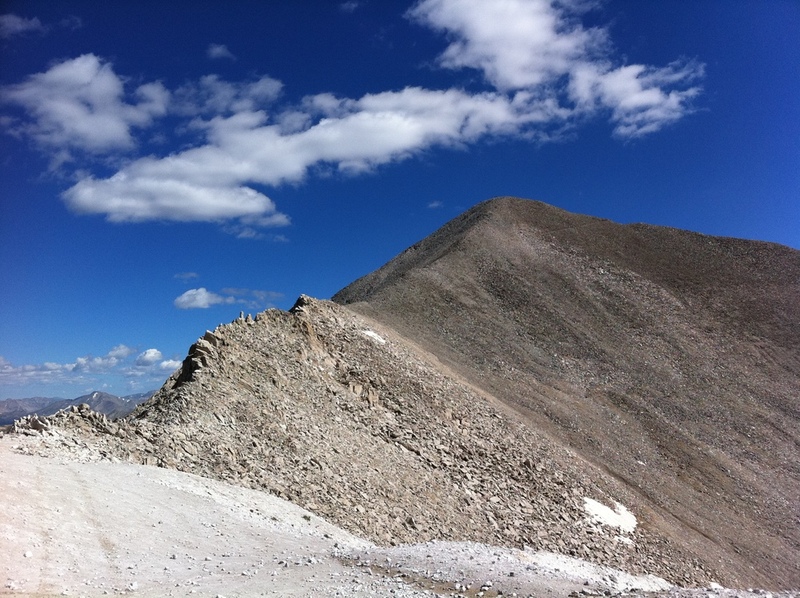 The road to Mount Antero offers amazing views and is a little scary at times. This is the same road and scenery that can be seen regularly on The Weather Channel's hit show Prospectors. Mt. Antero Trailhead is located along Chaffee County Rd 162 near Alpine Lake. Watch for "No ATV" signs on 162, as they are only allowed about a half mile each side of the trailhead. 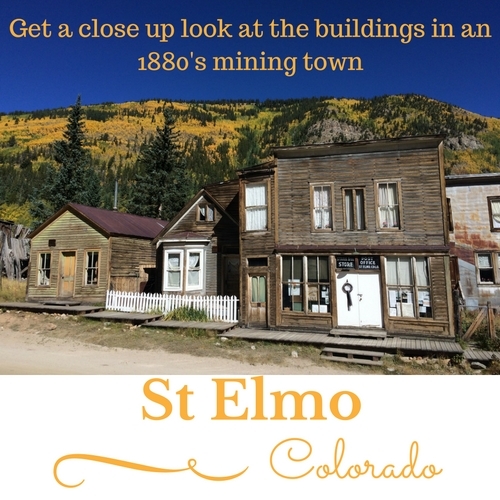 If you begin in St. Elmo or are coming from that direction, ride on 292 for about 4 miles and connect with Co Rd 162. Follow FR 277 from the trailhead for 2.8 miles, where you will arrive at a creek crossing. This is a good spot to stop and let your engine cool from the steep climb up 277. If you want to take a side trip to Baldwin Lake - Continue straight for 3 miles on FR 277. For Mt Antero, take the left turn across Baldwin Creek for FR 278. 1.5 miles later you arrive at treeline and begin heading up the first switchback. The switchbacks are narrow, steep, & a little scary the first time. Uphill traffic has the right-of-way, but you should still be on the lookout for oncoming traffic and be prepared to stop where there is more room to pass at the turns of the switchbacks. 38°39'42.6"N 106°15'28.2"W - 2 Miles beyond the start of the switchbacks you will be at the intersection of 278, 278A, & 278B. If you were scared on the earlier switchbacks, 278A will be a little worse. Keep going anyways. The views are worth it. 38°40'04.2"N 106°14'55.8"W - Arrive at highest point you can drive to. 13,800ft. Summit of Mt Antero is just to the north at 14,289ft. You can hike to the summit if you would like. It is cold and windy. Remember your layers for this ride. Part 1 - Video link is above with Boulder Mountain videos. Part 4 - The climb to the top (almost). Snow was still blocking the final switchback on July 11th. Part 3 - The Switchbacks. The ride gets exciting in this video. 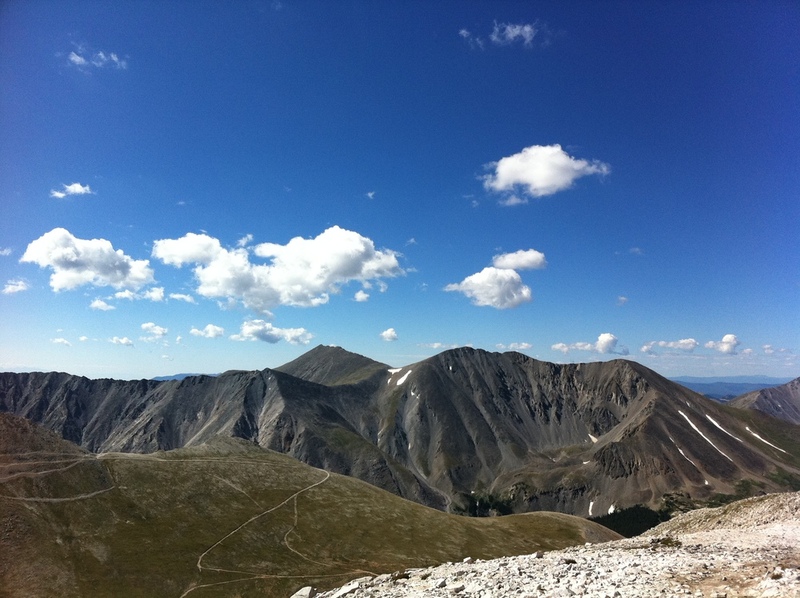 Photos from our first time up Mt Antero in 2011.